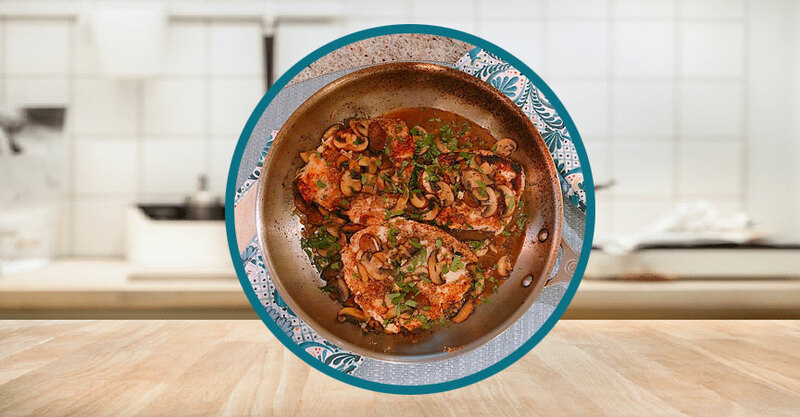 Heat 1 tablespoon grapeseed oil and cook mushrooms until golden brown, about 8-10 minutes. Add shallots and garlic the last minute of cooking. Turn the heat down to low and de-glaze with Marsala wine and chicken stock. Continue to stir and scrape the bottom of pan until slightly thick, about 2 minutes. Season with salt and pepper. Return chicken breasts to the skillet and cook until heated through, about 1-2 minutes. Remove from heat, stir in remaining tablespoon of ghee (optional). Garnish with parsley and serve.